First of all, tell us a bit about Derby, what are the expectations of the team this season? Derby County have been playing in the Championship for ten years now and have been close contenders for promotion in many of those seasons. New manager Frank Lampard took over in the summer and has been a breath of fresh air – his recruits have mostly been young players and the energy, skill and verve they have brought to the pitch has been really exciting. 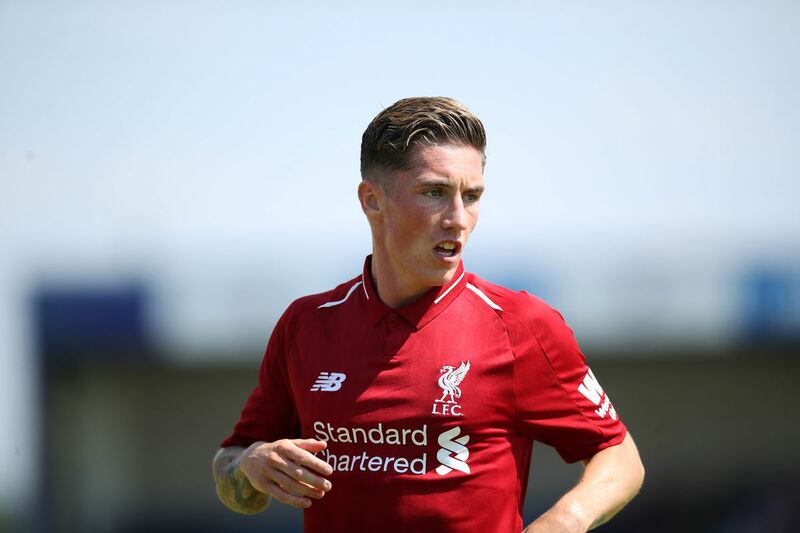 Harry Wilson is definitely one of the most promising players in Lampard’s young side, who have performed really well in recent weeks and certainly have the talent to challenge for promotion. 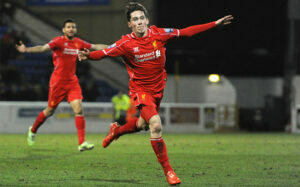 How would you describe the way the team plays and in which role have you used Harry Wilson? At the start of the season, Wilson played as a wide forward, but unfortunately suffered an injury during an early cup tie and missed several league games. However, shortly after his return to fitness, Lampard made a key tactical switch during a tough game against Sheffield United. After an injury to Craig Bryson, Lampard shifted Wilson into a central midfield role alongside the Chelsea loanee Mason Mount. Wilson hasn’t looked back and his hard work off the ball has been just as important as his technical skill on it. Mount and Wilson together in the centre is a very attacking pair. With holding midfielder Tom Huddlestone minding the shop behind them, they press very high and hard, showing terrific tenacity and energy to try to win the ball high up the pitch and then cause instant trouble for the opposition. The tactic has worked so well in recent weeks that promotion favourites West Brom were thrashed 4-1 at The Hawthorns and fellow contenders Middlesbrough’s fans howled and booed at their own confused players, who simply could not deal with the Derby swarm. However, Mount has since suffered a foot injury and the team missed his presence badly in last weekend’s defeat to Aston Villa. Without Mount, Derby may need to draft in a more defensively minded midfielder to support the more attack-focused Wilson. Based on his performances in Derby, how would you describe him as a player? Technically excellent, quick, energetic, brave and able to produce absolute rocket shots from open play or dead ball situations. What has Wilson brought to your team? Dead ball excellence, most notably, but his all-round game is excellent and he has flourished as an attack-minded central midfielder. Do you think he has got what it takes to be a Liverpool player next season? Put it this way, he is not one of those loan players you think might you might end up signing permanently. Getting into the Liverpool team is clearly going to be a massive challenge for him, but there’s no doubt he has what it takes to play in the Premier League. Last season, he showed he could cut it in the Championship, so a move to a club aiming to get promoted to the top flight was a nice challenge for him this year. How has the national team been doing in the Nations league? Wales are going through a period of change. Ryan Giggs has taken over from Chris Coleman, the man who took us to the semi-final of Euro 2016. He’s trying to introduce a more attacking style and introducing more young players into the starting 11. We have beaten Ireland twice and lost away against Denmark. The home game against Ireland was a very exciting 4-1 win full of great football but that was followed by a difficult game in Denmark and then a fantastic 1-0 win away in Ireland which was achieved without the likes of Gareth Bale and Aaron Ramsey. We have one game left to play at home to Denmark and if we win that match we will finish top of our group. Harry Wilson was on the bench for the first two games, but played and scored in the game against Ireland. What can you tell us about his performance? How did Wales use him? In previous games he’s been played on the wing, where he plays much of his club football but with Aaron Ramsey not playing Wilson was moved to the number 10 role, playing as an attacking midfielder. His general performance in Dublin wasn’t particularly good if I’m being honest. He didn’t see much of the ball and when he did, he struggled against a physical and well-organised Irish midfield and defence but he was not alone in that respect, all our attacking youngsters had a tough time. But the stand-out moment was his goal, a free-kick from about 20 metres which won the game for Wales. The goal-keeper clearly expected him to shoot the ball to the keeper’s left, which was the obvious choice but Wilson cleverly went for the other corner and scored a beautiful goal, similar in many ways to the goal he scored at Old Trafford for Derby, but from closer to the goal. How is his talent considered in Wales? Wales have a lot of very good young players coming through. Ethan Ampadu from Chelsea looks like a world class midfielder in the making, David Brooks is having a brilliant first season in the Premier League with Bournemouth and in the Championship there are many exciting young defenders making a big impression. But Wilson is among the most exciting. He made his debut aged just 16 but that was mainly because of reports England were trying to steal him, even though he always said he would play for Wales. He then went quiet for years but re-emerged during loan spells at Hull and now at Derby where he has developed into the player we always thought he could be. I see him as the long-term successor to Aaron Ramsey, he is such an exciting and intelligent player who loves to score spectacular goals. Do you think he will be a starter for Wales in the upcoming internationals? In previous generations he would be a certain starter in any Wales team but we have more options than ever before and with the likes of Bale, Ramsey and Brooks all playing well at the moment, and Giggs a big fan of Wilson’s Derby team-mate Tom Lawrence, I don’t think Wilson will start. But he is a fantastic option to bring off the bench and if we are looking for a goal I am sure he will play some part in the big game against Denmark. Even if he doesn’t start in the next games, he will definitely be a big player for Wales in the years to come. 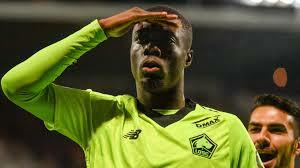 Has he got what it takes to be in important player for Liverpool in a few years? That’s very difficult to say. I think he’s far too good for the Championship and was very surprised he went to Derby on loan this season. I expected him to go to a Premier League team and when I look at the likes of Huddersfield, Newcastle and Cardiff and the lack of attacking quality they have, I am amazed none of them looked to Wilson as an option. But Liverpool is such a big club with so many great attacking players and enough money to buy players from across the globe, so it will be difficult for him to break through there. He is a fantastic talent and Klopp has given youngsters opportunities in the past so I would not rule it out by any means but in my opinion he will eventually have to leave Liverpool.